With over 4500 sq ft, this commercial property offers so much opportunity! For a downtown business, this is a great location for an office or retailer, with up to 20 spaces of offstreet parking (including a 5-bay garage). Main level offers up to 7 office spaces, 2 bathrooms, + kitchen space. Opportunity for more office space or rental income on the second level with 3 bedrooms, 2 full baths, + kitchen. A partially-finished 3rd level offers additional living space or storage. 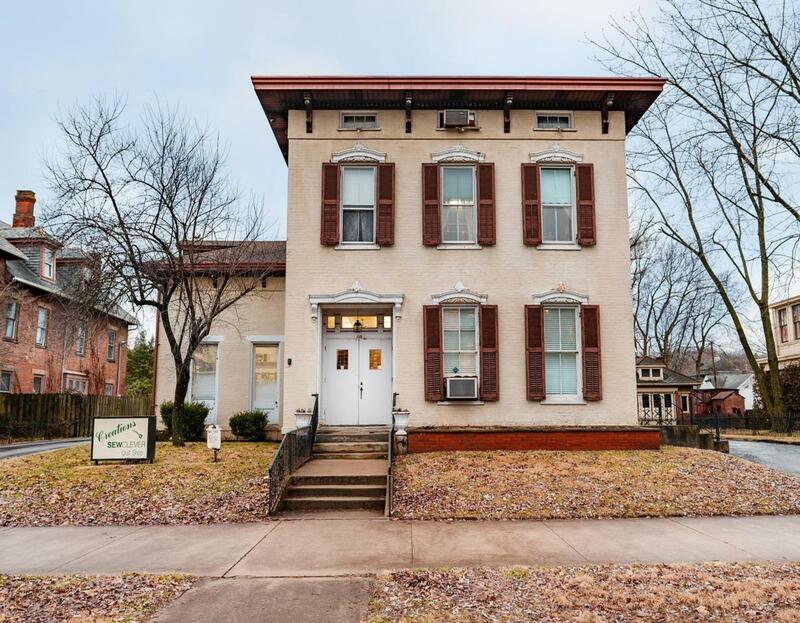 Updated with upgraded electrical and all new roof (around 4 years old), this 1860 Greek Revival home also boasts charming historical features like a corbeled roofline, ornamental window/door frames, spacious rooms w tall ceilings, multiple decorative fireplaces, and lots of natural light throughout. Between Street1 W. 6th St. Between Street2 W. 7th St.